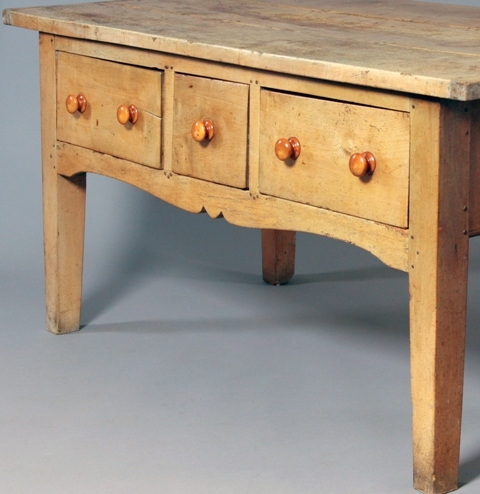 A wonderful and substantial Welsh dairy table made from rich creamy-coloured sycamore. 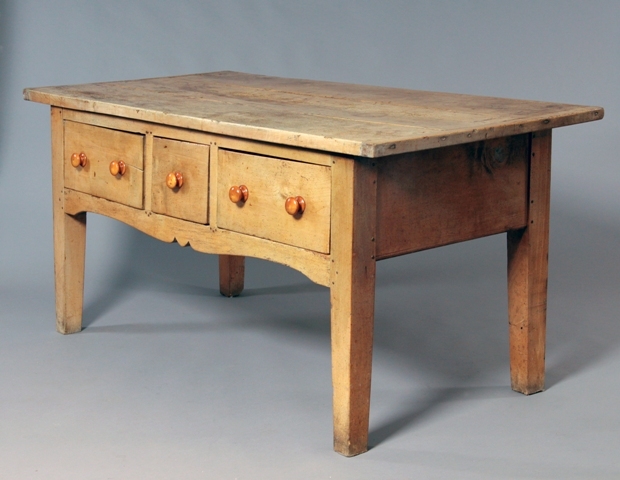 Sycamore topped tables with pine or oak bases are often found in Wales, this table is unusual in that along with the thick three plank top, the base with its generous drawers and shaped frieze is also made from sycamore. Sycamore wood was traditionally used for dairy table tops and utensils because it imparted no taste to the food. Provenance: from Egryn Abbey, a Welsh medieval hall house, Llanaber, Merioneth, which is now in the care of the National Trust.